Mr. Stathopoulos is a Senior Partner of BC Partners, one of the world's leading Private Equity firms with over $17 billion of funds under management, based in London. He has over 11 years experience in private equity. Prior to joining BC Partners, Mr. Stathopoulos was a Partner at Apax Partners where he spent seven years working on large buy-out transactions in 10 European countries. At Apax, Mr. Stathopoulos led, among others, the �1.6 billion acquisition of TIM Hellas, Greece's wireless telecom operator. 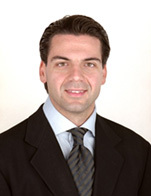 Prior to Apax, Mr. Stathopoulos spent three years as a management consultant with the Boston Consulting Group in London. Mr. Stathopoulos is Chairman of the Board of Regency Entertainment (Hyatt Regency) and of Migros Turk. He is a member of the Harvard Business School European Leadership Board, the Athens University of Economics & Business (AUEB) Business Advisory Board and the European Venture Capital Association Buyout Committee. Mr. Stathopoulos is also a Visiting Professor of Entrepreneurship at the AUEB's MBA International Program. Mr. Stathopoulos holds an MBA from Harvard Business School, where he was awarded an International Scholarship, and a degree in Business Administration with Highest Distinction from Athens University of Economics & Business.